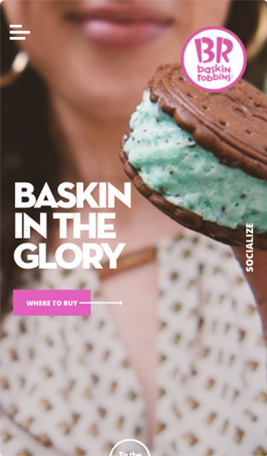 Harlo has been a longtime partner for Baskin-Robbins(R) at Home. As we mapped out our initiatives for 2017 our teams agreed that it was time for a website refresh that better captured the current brand. Initially, this project began as a conversation about improving our legacy product finder and making pixel-level updates to user interface design. However, as we began our assessment it became obvious that a redesign was the best approach to accommodate new content and needs. New technology and content needs inspired us to rethink the web experience to create a more modern, exciting destination that fits in with mobile-focused user needs. 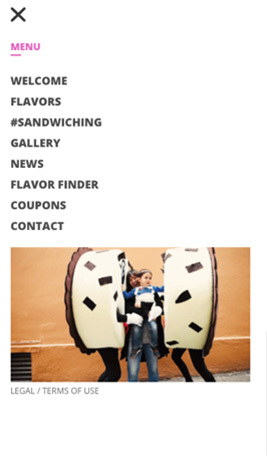 Functionally, we built the site to flexibly accommodate advertising campaign destinations (check out our #Sandwiching launch page for our Summer campaign! ), coupons and special offers, and ongoing news. Ultimately, the new website brings an enormous amount of energy and life to the user experience, while delivering best-in-class Product Finder technology with our partners at Destini. 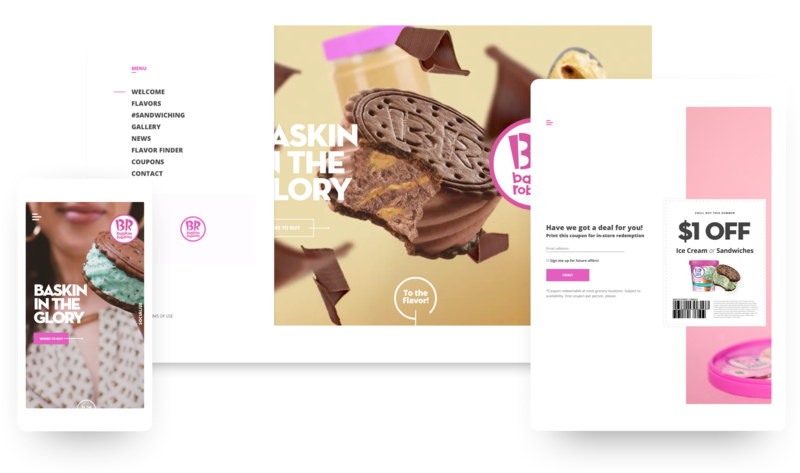 Our mobile-first approach to touch-sensitive navigation - swipes, taps, and drags - is intuitive for mobile app users and helps communicate the "Fun" promise that Baskin-Robbins' brand is all about. The new UX features and modern interactions make this a top tier experience that helps move the brand forward, especially among our growing mobile audience. An improved product finder was designed to increase conversions and highlight new product lines. In the end, the site became a fun and user-friendly destination for mobile-focused users.